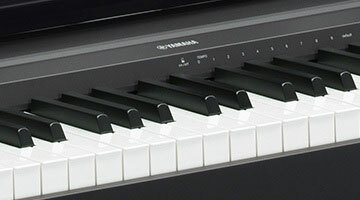 NEW Model Yamaha P-45Call for the Best Price! The P-45 improves upon the traditional AWM synthesis system to deliver stunningly real piano sounds. AWM is a technology that uses digital recordings of original instruments and allows you to experience realistic grand piano sound wherever you are. 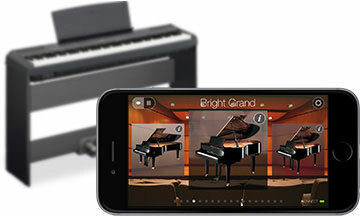 A compact digital piano with a modern stylish design. 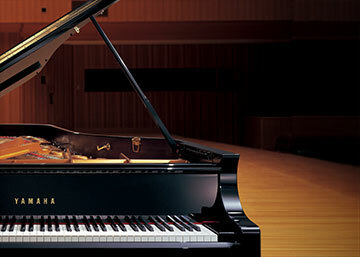 Outstanding keyboard feel ensures an authentic piano-playing experience. 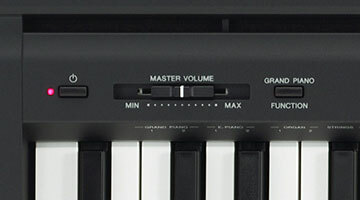 The P-115 features a Graded Hammer Standard (GHS) keyboard. The feel of the keyboard gradually changes according to the register, so that it feels heavier when playing bass parts and lighter when playing treble parts. The keyboard also features matte finish black keys for an authentic piano experience. The P-115 uses Yamaha's "Pure CF sound engine," featuring a piano sound recorded from Yamaha's renowned CFIIIS concert grand piano, heard on stages all over the world. In addition to the advanced piano sound, the improved damper resonance function recreates the reverberation of a grand piano, allowing for a finer level of nuanced expression. The tweeter position has been redesigned in the P-115 to produce better tonal quality and offer a more enjoyable performance experience. This new configuration ensures that the sound of the instrument come alives across the entire tonal range. While the P-115 can naturally be enjoyed as an authentic piano, it can also help to make your playing even more creative. This is perfect for people who want to enjoy a variety of musical styles and who want to increase their potential as performers. 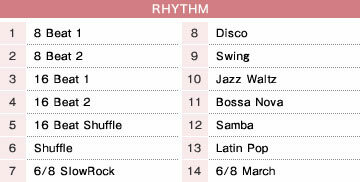 The P-115 is loaded with 14 of the most popular rhythm patterns. Choose your favourite from 14 popular patterns, including pop, jazz, bossa nova, and more. The P-115 is loaded with a variety of rich voices including pianos, electric pianos, organs, strings, bass, and more. These voices can be enhanced by four different reverbs that you can adjust to your preference. 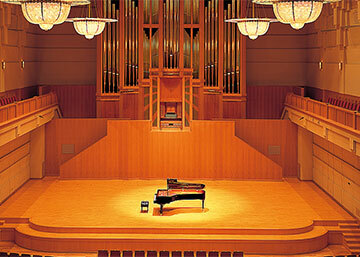 Clear reverberation, as heard in a medium-size hall used for piano recitals. Bright, bold reverberation, as heard in a large hall where orchestras perform. The relaxed reverbation of a large room suitable for chamber music. The crisp reverberation of a live music venue or jazz club. Use one of the 10 Pianist Styles to automatically add accompaniment as you play chords along with melodies, transforming simple music into ingenious arrangements. The P-115 comes with AUX-OUT terminals that output the instrument's audio to external amplifiers/speakers The USB TO HOST terminal allows the instrument to be directly connected to a computer. Simple operation using the free Digital Piano Controller app! 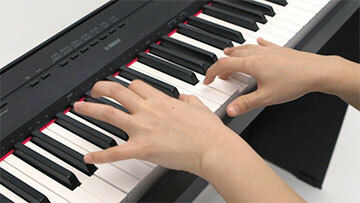 With the Yamaha Digital Piano Controller app for iPad, you can control many of the instrument's functions. Voices, rhythms, and other settings can be adjusted, making it easy to access key functions with ease. You can also save your favourite settings for quick recall at any time.